Sinus infection a.k.a ‘sinusitis is quite common, affecting about 20 percent of people at some point in life. The good news, it is often treated successfully. Even it’s also not uncommon to find it improves on its own without treatment. It rarely causes complications. However, in a few cases it could also be serious. For example, the symptoms can be quite painful if it has spread to the brain. The sinuses are air-filled cavities behind the nose, cheekbones, forehead, and between the eyes. They serve several important functions. The main ones are to help filter and humidify the air you breathe. They are covered membranes containing cilia (hair-like cells) and mucus to filter & sweep out bad things in the air you inhale. Normally, sinus secretions are moving and draining out into the nasal cavity. 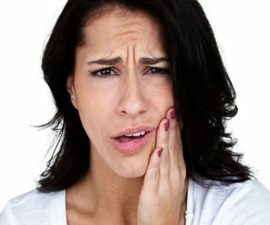 But in sinus infection, this normal mechanism is affected. The infection often causes inflammation and blockage. As a result, the mucus increases in thickness because it doesn’t drain properly. The cilia may also slow their function to sweep and clean the mucus. These can worsen the blockage and make it even more difficult for the mucus to drain out. Sinus infection can be attributed by a number of causes. The main ones are due to viral, bacterial, or fungal infection. And it seems that some people are more vulnerable to develop the condition, especially for those with allergy, structural differences in the nasal cavities, and weakened immune system. Most people with sinus infection don’t transmit the infection to others. In general, it is not contagious disease. 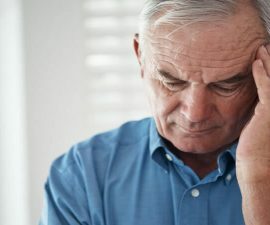 Although it is caused by viral or bacterial infection, some experts say that it occurs because some people are more vulnerable to have the condition. The infection can also be triggered by viruses, bacteria, or fungi that already exist in a person – and therefore, person-to-person transfer is not necessarily needed for the infection to develop. While most experts say that it’s not contagious, it’s also quite possible for the infection to spread from person to person in a few cases. This is dependent on the cause of the problem. 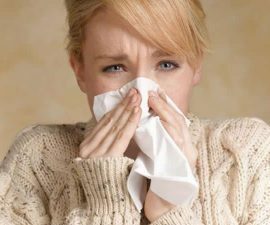 For example – many respiratory viruses, which some can also cause sinus infection, are easy to spread through hand-to-hand contact. In other words, it’s still important for people with the condition to avoid direct contact with individuals who are prone to the infection such as the elderly, infants, or people with weakened immune system. Can sinus infection spread to brain? Again, in most cases it is uncomplicated. But if its complications occur, some could be serious or even life-threatening. In rare cases, the infection may spread elsewhere in the skull such as to particular areas of the brain. If it does spread to the brain, this may lead to meningitis, cerebritis, or brain absences. As the name suggests, this rare condition occurs when infection affects meninges (delicate membranes covering the spinal cord and brain). It can be caused by virus or bacteria. Can Sinus Infection Make You Dizzy and Tired? 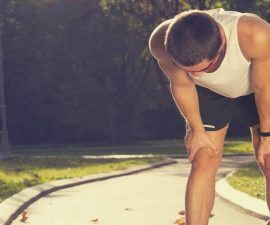 Does Running Make A Sinus Infection Worse?